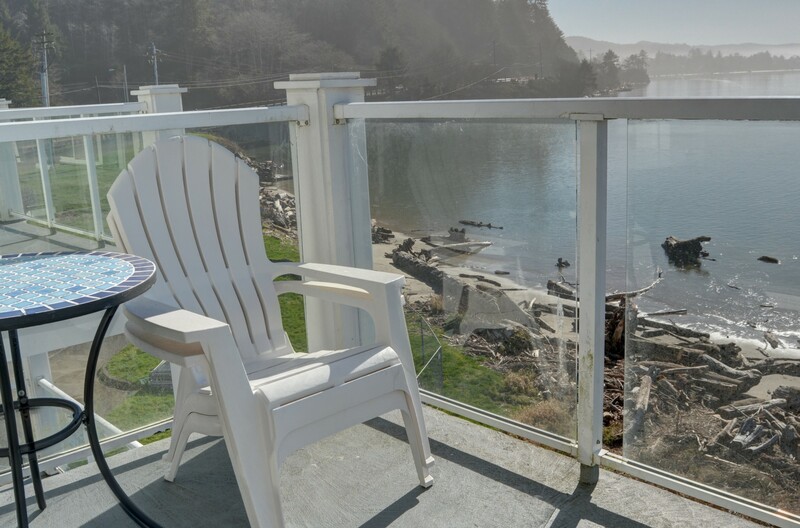 Waters Edge #409 is a one bedroom, one bath bay front condo located in the historic Taft District of Lincoln City where you'll enjoy ocean and surf views. Dining, ice cream, coffee, galleries, a museum and quaint shops are all within walking distance of this lovely condo. 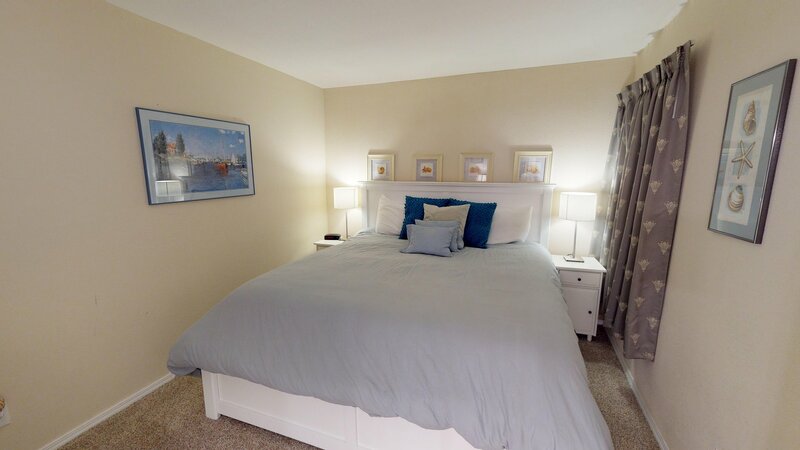 A king bed along with a queen Murphy bed are available for guest use at this condo for four guests. This condo is a great spot for a couple's retreat or a family getaway. The owners have furnished this vacation home very nicely, allowing you to enjoy all the comforts of home while away from home. A gas fireplace in the living room provides a comfortable setting for you and your guests. 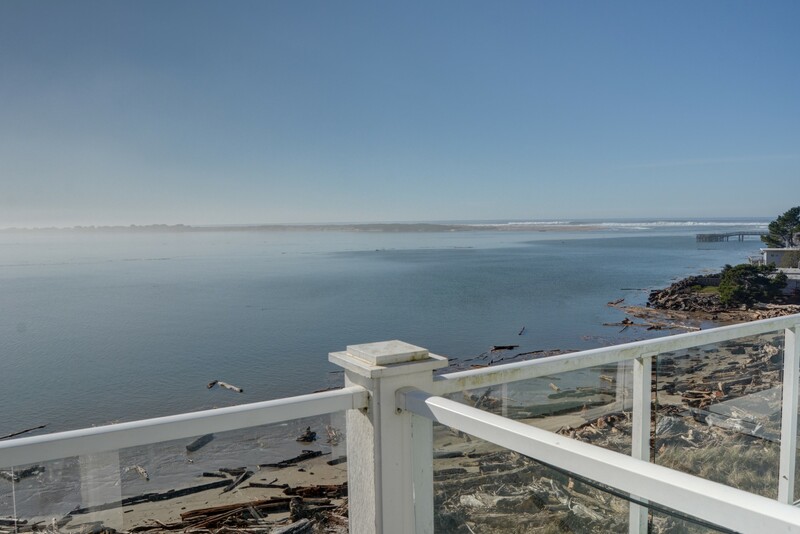 There is also a deck with outstanding views of the Siletz Bay and the Pacific Ocean right behind a glass sliding door! 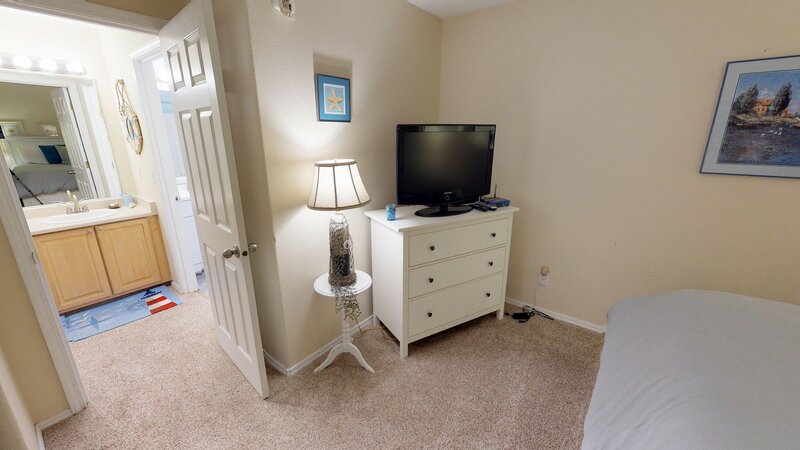 Two TVs in this privately owned condo add additional entertainment, while Wi-Fi allows you to stay in touch or work remotely while on vacation. Check out Lincoln City on your next Oregon coast vacation! Parking is available for up to two vehicles at this home. Please note that boats, trailers, and RVs are unfortunately not permitted. Beach Access: Right behind the building, Bay front a short walk to the West and you are then on the ocean side. "Nice condo with an amazing view! Everything that we needed was supplied and very clean. We rented paddle boards and used them in the bay - with seals all around us wondering what we were up to! Great Weekend!" "Hello Mindy, Thank you for your review. We are glad to see that you enjoyed your stay at Waters Edge 409. It sounds like you had an amazing time, enjoying the warm weather and the seals! We hope to have you back again soon." "Condo #409 is an awesome stay. Great view, perfect for kids. I'm staying here every year and it became a tradition. Already booked 2019"
"This is our home away from home. The room is very well kempt and updates have been made over the years. Very clean. The location is great; walking distance to Mo's and some of the best beaches for beachcombing. The area can sometimes be busy durring the day (depending on the time of year) but is pretty quiet at night. 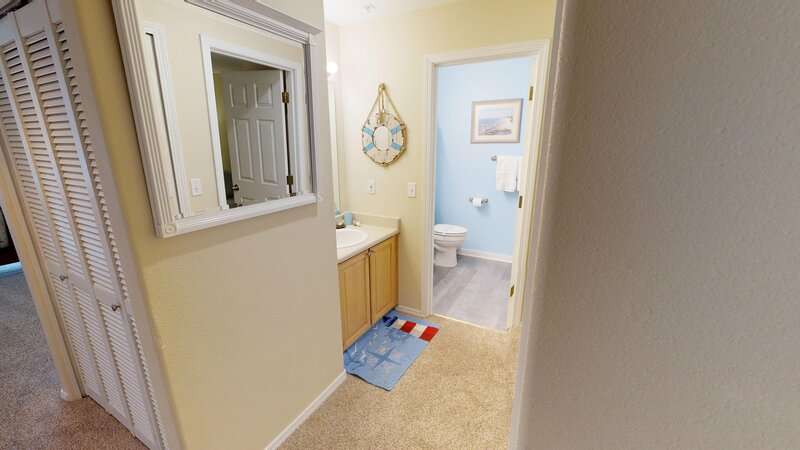 A person would be hard pressed to find a place more affordable than this rental." "Our first time using AirBnB and our first time to the Irefon Coast. The Water’s Edge was exactly was they advertised. 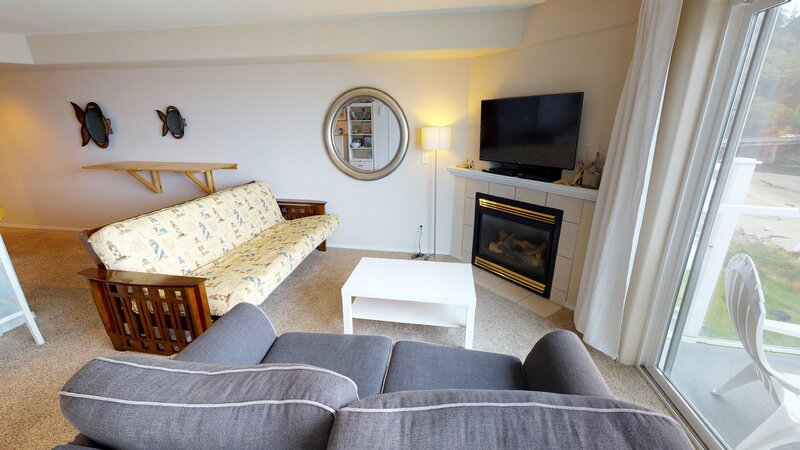 A roomy condo with an outstanding view of Silentz Bay and the Pacific Ocean. Loved the location right on the bay and less than a quarter mile walk to the ocean. The condominium was clean and the bed Ames’s extremely comfortable. We highly recommend the Water’s Edge." "Hello Ron, Thank you for your review. We are glad to see that you had a wonderful visit at Waters Edge 409. We are proud to know that the unit was exactly as it should have been for your stay. We hope to have you stay with us again soon!" "This was my second stay this year, obviously I love the location! I have to give a shout out to the Ocean Beach Vacations staff, especially Eleanor. I didn't feel like I was a number, but a friend. Wish we could have brought our black lab, but the condo has restrictions on weight. He would have totally loved the water!" "Hello Elizabeth, Thank you for your review. We are glad to hear that you had a great stay at Waters Edge 409. We are so happy to know that you were treated well by our staff. This is what we strive for with all of our customers. We are sorry to hear that you couldn't bring your dog to this unit, but we are glad that you were able to enjoy the unit anyway. We hope this means that we'll be seeing you again next year! Thank you again for your sweet review." "Bright and airy condo with a beautiful view." "Hello Angie, Thank you for your review. We are glad to hear that you enjoyed your stay at Waters Edge 409. We hope to have you back again soon." "Brought my fiance here for her birthday and as she put it "hit the nail on the head". The amazing view and comfortable accommodation made for an awesome trip." "Hello Jaxon, Thank you for your review. We are glad to hear that you had a great stay at Waters Edge 409. It sounds like it was the perfect location. We hope to have you back again soon!" Quick trip to Lincoln City! "We recently booked a last minute weekend trip to Lincoln City. Oregon Beach Vacations staff was very responsive to our last minute request and which allowed for us to make this trip. 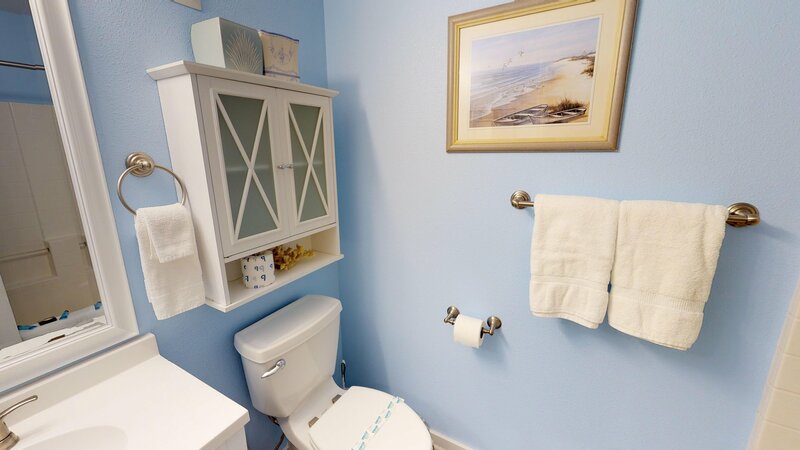 The Water's Edge property was quite nice and the unit was perfect for our needs. I would definitely stay there again when the opportunity arises." "Hello Daniel, Thank you for your review. We are glad to hear that you enjoyed your overall stay at Waters Edge 409! We are glad to know that our staff was able to quickly and easily help you with booking this last minute stay. We hope to see you back again soon on the Oregon coast." 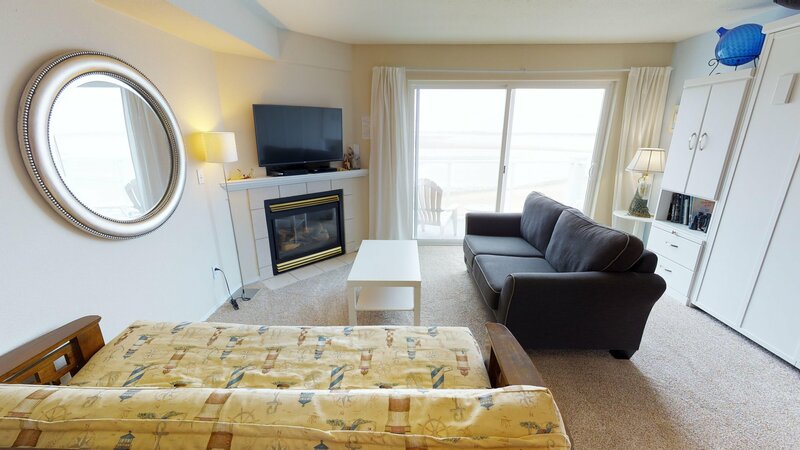 "wonderful accommodations, clean, well furnished,excellent location on beachover looking bay, "
"Evelynn, we are ecstatic to hear you enjoyed yourself. Come back soon! " "We had a great experience at condo #409. It was clean and very up to date. One recommendation I would have is to upgrade the Internet connection speed and the wireless router to support 5GHz. I try to take care of some work on vacation and the wireless connection was unusable." "Hello Brenda, Thank you for your review. We are glad to see that you enjoyed your overall stay at Waters Edge 409. We are sorry about the Internet speed. We can look into this. Thank you for bringing this to our attention. We hope to have you stay with us again soon on the Oregon coast." "We certainly enjoyed our stay at Lincoln City. The accommodations could not have been better." "Hello Lew, Thank you for your review. We are glad to see that you enjoyed your stay at Waters Edge 409! We hope this means you'll be back again soon on the Oregon coast for another wonderful getaway!"